Does your dog have allergies? If she does, it’s not a surprise. It’s estimated that 10% of dogs suffer from allergies … and a great many more suffer from skin diseases caused by food intolerances, leaky gut, yeast, mites and hypothyroidism. Getting to the true cause of your dog’s itching and scratching can often be difficult … especially since most dogs will have more than one allergy or sensitivity. And while some allergies are fairly easy to treat, others can only be managed and will stay with your dog for the rest of her life. If you’re ready to get to the bottom of your dog’s allergies, and treat the root cause and not just the symptoms, let’s first take a look what’s driving the itching and scratching. Deep inside your dog’s bones is marrow. Stem cells that live in that bone marrow produce a specialized white blood cell called a B cell. Your dog produces about a billion B cells every day. These little immune cells can manufacture something called an antibody. Antibodies are proteins that circulate in the blood and detect foreign substances (antigens), such as bacteria, viruses and parasites. Antibodies have little arms that bind to antigens. Each antibody binds to a specific antigen (for example, salmonella or parvovirus), and your dog houses about 100 million different antibodies. If the antibody identifies a foreign invader (called an antigen), it will essentially flag that invader and the cells of the immune system will see the flag and attack and kill the invader. IgM antibodies were the first class of antibodies to evolve and they form the primary immune response, especially against viral or bacterial infections. They’re found in the blood and lymph fluid and are the first type of antibody to respond to any infection. IgG antibodies are found in all body fluids. They have a variety of functions and are quite good at fighting viruses. IgG antibodies also get passed through the placenta from mothers to their young and they protect puppies with “passive immunity” for the first few weeks, until the puppy is able to produce his own IgG antibodies (several months after birth). IgA antibodies form the largest class of antibodies and are found on the mucosal (mucus covered) surfaces of the body (the gut, respiratory tract and urogenital tract). A medium sized dog would have over 100 square meters of mucosal surfaces to defend and the IgA antibodies coat foreign invaders to prevent them from attaching to the intestinal cell walls, where they’re likely to infect your dog. Unlike IgM and IgG, IgA antibodies are passive antibodies that don’t activate inflammation or an immune response, but just block the attachment of invaders to cells and usher them out of the body. IgD antibodies are found on B cells. Their function is unknown but they are thought to play a role in the binding of antigens by “naive” B cells – B Cells that have not yet responded to a specific antigen. IgE antibodies are found in the lungs, skin and mucous membranes. IgE antibodies bind to allergens (anything that can cause an allergic reaction). IgE antibodies bind to mast cells, which are special white blood cells in the skin and mucosal surfaces and they’re designed to protect your dog from parasites. Mast cells are stuffed with tiny granules, which are chemicals and histamines that can kill parasites. When parasites enter the body, mast cells release their granules (degranulate) and the powerful histamines and chemicals kill the parasites. But unfortunately, mast cell degranulation can also cause an allergic reaction and, in extreme cases, anaphylactic shock. The histamines released by mast cells open up your dog’s capillaries and this is what causes redness and inflammation. And those chemicals and inflammation result in itching and irritation. While this can cause sneezing and hives in people, dogs have ten times more mast cells and they’re all over their body, so their skin reactions tend to be more severe than ours. An excessive response to foreign antigens. Autoimmune disease, where the immune system produces rogue B cells or antibodies that can no longer tell the difference between foreign invaders and the body’s own cells (self). Hypersensitivity diseases are divided into four categories explained below. If you are allergic to bee stings or shellfish and suddenly come across them, you would suffer a type I hypersensitivity. Type I hypersensitivity involves IgE antibodies and mast cell responses. This is a true allergy and the results are immediate. But over time, allergies can worsen and involve more and more antigens. The immune systems of dogs without allergies respond very weakly to potential allergens and will produce mainly IgG antibodies. But, allergic dogs produce large quantities of IgE antibodies … from 1,000 to 10,000 times more than non-allergic dogs. This overproduction of IgE antibodies is what causes sudden allergies. In type II hypersensitivity, IgG and IgM antibodies bind to antigens on the dog’s own cell surfaces. This can either be because some of the B cells in the immune system mistakenly think “self” antigens are invaders, or because a real invader has attached itself to one of your dog’s cells. Type II hypersensitivity plays a role in autoimmune skin disorders and you might see thickened, crusty skin, ulcerations and lesions and a skin condition called Pemphigus foliaceus. In type III hypersensitivity, there’s an accumulation of antigens with antibodies attached to them in the blood vessels. These antigen-antibody complexes begin to build up, causing inflammation and an immune response. The antigens can be real invaders or naturally occurring antigens (autoimmunity). The inflammation and immune cells can begin to damage the cells they surround which can begin to cause damage to organs, most commonly the joints, skin, kidneys, lungs and brain. It’s a normal immune response for antibodies to bind to antigens, but an abnormally large buildup can cause inflammation and disease. Type II and III hypersensitivities can occur with contact or inhaling antigens but often appear as food intolerance or food sensitivity and tend to involve IgA and IgM antibodies. Unlike food allergies, food sensitivities can take months or even years to develop. Type IV Hypersensitivity is also a delayed hypersensitivity but typically takes days to develop, not weeks or months. Type IV hypersensitivities don’t involve antibodies and examples of type IV hypersensitivities are contact dermatitis, diabetes and thyroid disease. Most dogs with allergies will have one or more of these hypersensitivities firing at one time but let’s take a look at how they present themselves in dogs. What Type Of Allergy Does Your Dog Have? Flea bite hypersensitivity. Some estimate that 40% of dogs are hypersensitive to flea bites. Flea bite dermatitis is usually a type I or type IV hypersensitivity. If the effects are immediate, it’s type I and if they’re delayed 24 to 48 hours, they’re type IV – or both. The IgE and IgG antibodies will be triggered. Atopy (contact and inhalant allergies). It’s estimated that 10% to 15% of dogs have atopy and most dogs with atopy will also have flea bite hypersensitivity. Atopy is at least partly caused by an IgE or type I hypersensitivity. Food intolerance is the third most common allergy found in dogs and is a type II and III response, while true food allergy is a type I response. Many times, dogs will have more than one type of allergen and multiple allergens, so it can be really hard to determine whether it’s an allergy or an intolerance and what the triggers are. If you see any of these symptoms, it’s a good bet your dog has allergies or sensitivities. Sometimes your dog’s symptoms can be your guide. But how do you identify what substances trigger those reactions? To find the source of your dog’s contact allergies, you’ll need to keep a diary and watch for flare-ups and trends. Maybe your dog is only symptomatic when the grass is wet or when he’s on carpet. You’ll need to watch to get to the bottom of the scratching. Your dog will need to have fleas to have flea bite dermatitis! Use a flea comb to look for fleas or look for evidence of flea dirt on your dog’s belly. Inhalant allergies are a bit more difficult to determine. Your dog will be itchy all over but it may be a bit worse on his feet, eyes, ears, armpits, feet and thighs. Inhalant allergens can be difficult to detect as well. Watch to see if there is seasonality to see if pollens might be the cause. Or if his symptoms are worse, it could be dust mites or molds in your house. This can be pretty tough, because your dog is probably allergic to more than one substance … and he may also have contact allergies along with food intolerances and this will muddy the picture and make the diagnosis pretty hard. Again, your dog may only have one of these allergies or intolerances, or he may have more than one and several allergens/triggers. And to complicate matters further, food intolerance can develop into leaky gut, which can cause yeast infection (which can mimic skin allergy symptoms). So how do you identify the cause of your dog’s allergies? If your dog has allergy symptoms, there are some tests you do can to try to identify the cause. Your vet can do something called an intra-dermal allergy test. She’ll inject tiny amounts of different potential allergens into your dog’s skin and watch the results. If your dog responds to any of those allergens, then your vet can identify this as an allergy. Your vet can also do a blood test that looks for the presence of IgE and IgG antibodies in response to specific allergens. If there are a large number of IgE antibodies in the presence of that allergen, then your vet will say your dog has an allergy to it. Both of these tests are fairly accurate for skin issues (they’re right about 90% of the time). But skin and blood tests aren’t all that reliable for food allergies. When they were analyzed for their accuracy, a positive reaction wasn’t all that useful (only 15% to 35% accurate with a lot of false positives), but a negative reaction was more predictive (81% to 84% accurate). There are different types of blood tests, TAST and ELISA, but the ELISA is generally considered by most vets to be a bit more accurate. Food sensitivity is much more common than true food allergy and the symptoms can often look the same. And testing for food sensitivities is much, much easier than trying to figure out food allergies. If you think your dog has food sensitivities, you can get a Nutriscan test done. This measures the IgA and IgM antibody response to various foods and identifies the foods your dog is sensitive to. The test is about $300 and you can do it at home … it comes with a swab and all you need to do is collect saliva. While some foods like soy are very likely to cause sensitivity, if your Nutriscan test results show sensitivity to more than two or three foods, your dog very likely has leaky gut. This is the result of an imbalance of the bacteria living in your dog’s digestive tract and the harmful bacteria can grow out of control and release irritating toxins. These toxins cause inflammation in the gut lining and this stretches the thin intestinal walls, allowing undigested food particles to pass through. When this happens, it can trigger an immune response that includes IgE antibodies. Leaky gut can complicate the diagnosis and it’s something you’ll want to rule out. 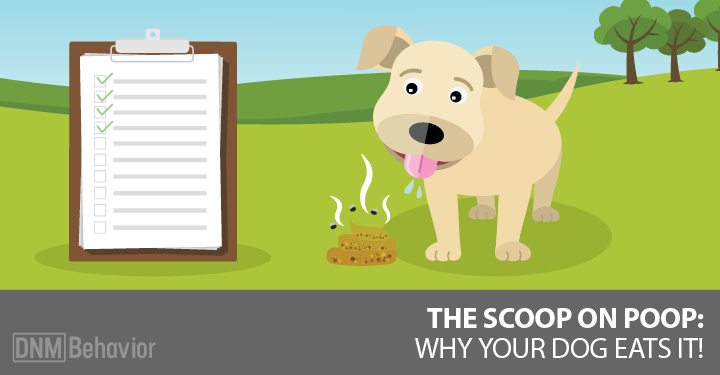 If you think your dog has a food allergy, then you’ll need to do a food elimination trial. This means eliminating all but one food or protein for at least 12 weeks at a time. 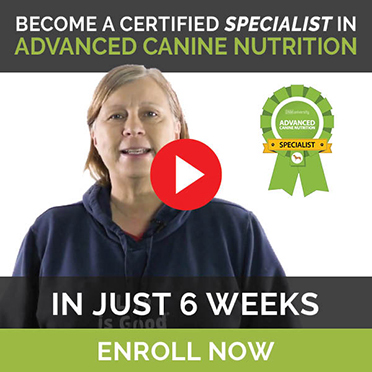 For example, you’d have to feed your dog one animal protein (preferably one he hasn’t eaten before) for 12 weeks with no other proteins and wait to see if this eliminates his symptoms. If your dog’s symptoms are better, then you can put your dog back on his old food to see if the allergy symptoms return … if they do, then you can be pretty certain that food is causing his allergy symptoms. But it’s important to remember that foods and allergens don’t cause allergy symptoms in most dogs. If your dog has allergies, this is a health issue that still needs to be addressed. So we’ll look at treatment options for allergies. Why Does My Dog Have Allergies? If you’re looking for the simple answer to this, I’m afraid there isn’t one! The immune system is extremely complex and things can go wrong. But the villain when it comes to allergies is IgE antibodies. Healthy dogs usually respond to allergens with IgG antibodies while atopic dogs will respond with IgE antibodies … which trigger mast cells. So why do allergic dogs respond this way? There are two theories. In the wild, dogs would sleep and eat on dirt, they wouldn’t be given dewormers and heartworm meds and would have to deal with parasites. They weren’t given antibiotics and they’d be in close contact with other animals. Today’s dog lives in the house (if he’s lucky), eats out of steel bowls and we do everything in our power to prevent any exposure to parasites, bacteria or disease. But exposure to bacteria and viruses in early life affects the immune system. If your puppy isn’t exposed to as many allergens in his early life, his chances of allergies increase. Studies show that children growing up on farms have a significantly lower incidence of asthma and allergies than children living in rural areas who don’t live on a farm. And if their mother was exposed to animals during pregnancy, they were even less likely to have allergies. Allergies weren’t an issue for our ancestors and they weren’t for their dogs either. Early exposure to allergens changes the immune system and makes it more likely to produce IgM antibodies instead of IgE. So if your dog already has true allergies, there’s not much you can do to correct it … the damage is done and can’t be reversed. So what can you do if your dog does have allergies? There are various allergy meds your vet might prescribe, but I urge you to reconsider conventional methods, like Apoquel. Here’s why. Instead, eliminate the risk and go with a natural product.And for more on natural alternatives, check this out.